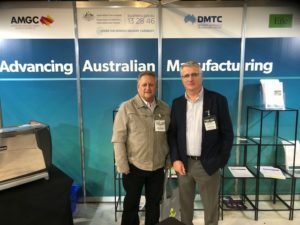 IBSA Manufacturing attended National Manufacturing Week in Sydney. There was an opportunity to see new developments such as virtual welding and automation and discuss how manufacturing companies are meeting the challenges and opportunities created by digitisation. 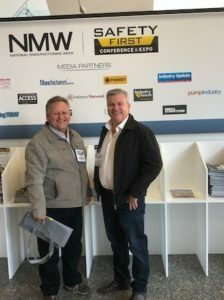 There was also a chance to catch up with key stakeholders including Mike Grogan, Chair of the Project Reference Group for the Digital Skills project and Shane Hawkins, President of the National Security Screens and Screens Association, who is engaged with the Blinds, Awnings and Security Grilles project.